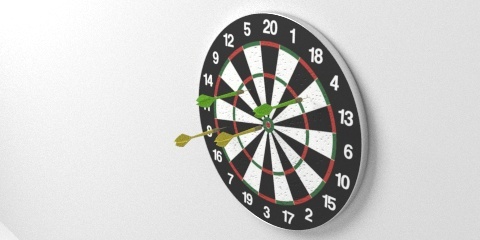 A dart game for the leisure time :). The model has an UVmap for the texture, and I have added a bumpmap for the holes on the blender file. Painted hardboard with metal parts for the outer ring and the ring of the target. The image above has been rendered with Cycles. 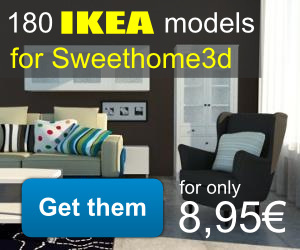 I made this model for Sweet Home 3d with the collaboration of Emmanuel Puybaret (Sweet Home 3d developer).